A delegation from the Mill Creek, New Salem and Lick Creek Churches met at Meadow Creek, West Virginia, October 21, 1878 to consider the propriety of organizing a Baptist Church at Meadow Creek. After a sermon by Elder John Bragg and due consideration, it was agreed to proceed. Articles of faith and the church Covenant were read and adopted. The church was organized with 15 members. Elder Lewis C. Kincaid was called to the pastorate for an indefinite time at a salary of $15 per year. 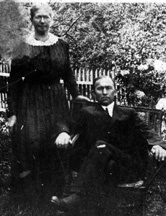 June 25, 1905, Reverend D. G. Richmond , who lived on the Hump Mountain two miles above Meadow Creek with his wife Molly Susan Peters Richmond and three children he was rearing (Icy, Elmer and Zona Creger) was called to pastor for sevral years. During This time the Meadow Creek Baptist Church building (pictured below) was built. 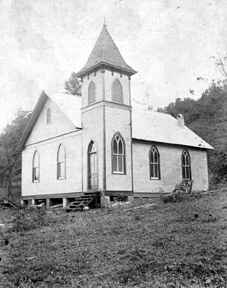 The first Sunday of November, 1909, the church building was dedicated with Rev. 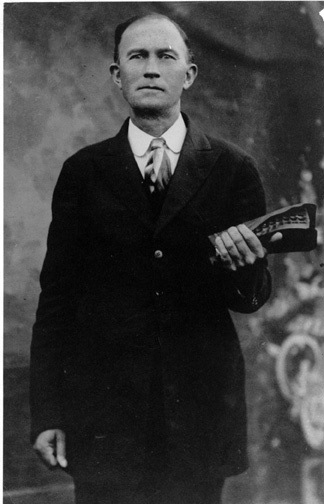 L. P. Groves of Beckley, West Virginia preaching the sermon (Text: 1 Timothy 3:16), the pastor making the prayer. This was a great day in the history of the church, a fine day, a large audience and a good sermon. 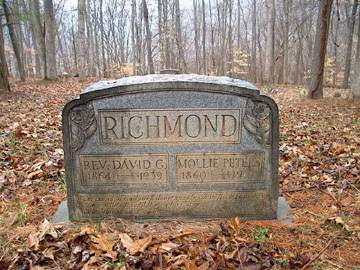 The church was a member of the Raleigh Baptist Association, Reverend D. G. Richmond, president.